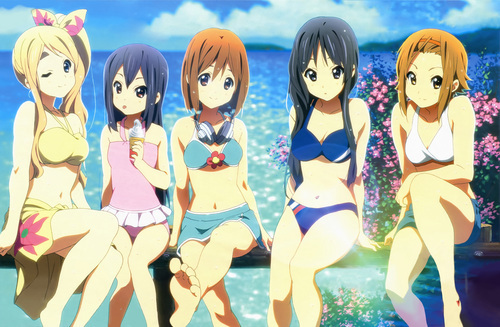 HTT5 Official Art. Official Art of 5 HTT members on various media.. HD Wallpaper and background images in the K-ON! club tagged: k-on! htt mugi tsumugi mio yui azusa ritsu official.